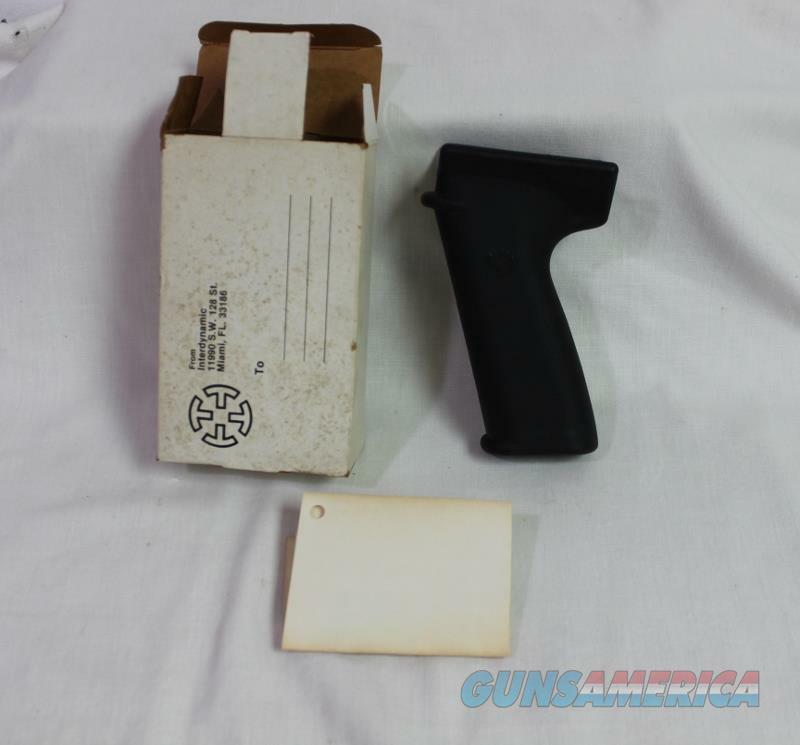 Description: Intra Tec Tec 9 pistol grip, this is new from the factory, new in box, box has some shelf wear, see pictures, has optional accessories paper from Intra tec this will fit on KG99 or KG9, ATF laws state that it is illegal to put this on your gun, you will get this exact one,this will not ship to CA, MA, CT, NY, OR ANY OTHER PLACE THAT THIS IS NOT LEGAL. We are a FFL, Florida residents add sales tax for your county, there is no local pick up and we do not have a retail store for you to come see the item. The price listed is a cash price; credit cards add 3% to the total. Money must be here within 5 days. Transaction must be completed within 10 days or the item will be reposted. DO NOT COMMIT TO BUYING THE ITEM UNTIL YOU HAVE ASKED ALL QUESTIONS. Please ask all questions prior to purchase, no questions are answered on Saturday and Sunday. If you do not complete the transaction appropriate nonpaying buyer feedback will be left. You can use the online checkout to pay for this item. By committing to buy this item or gun you are saying that you are aware of all of the laws and restrictions in your state and you can lawfully own this item or gun.